How much is tuition? Please click here for the tuition for Kindergarten through 8th Grade. 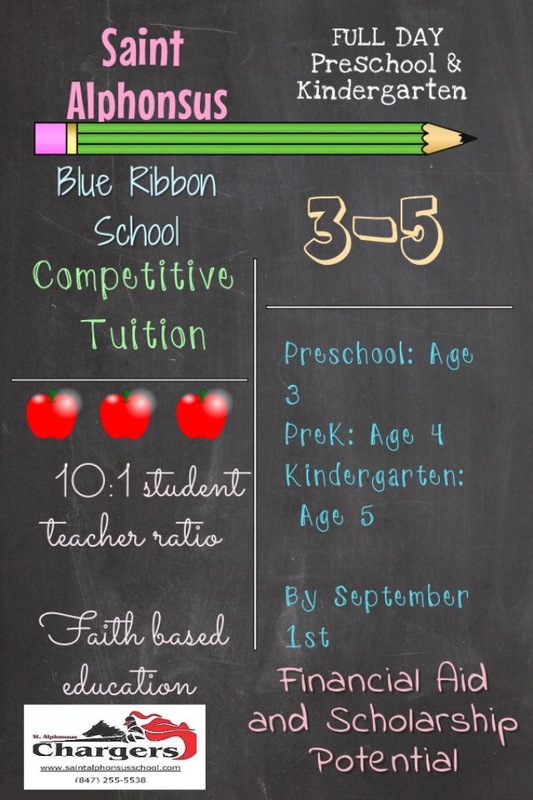 Please click here for the Preschool Tuition. Where do we order hot lunch? Visit fspro.boonli.com to create a hot lunch account and use the school password SAL168. Orders for the following month must be placed from the 1st through the 15th of each prior month. Many students do bring their own lunch and drink also. TUITION PAYMENT OPTIONS: Tuition may be paid online using FACTS. Payments may be in full, in halves, quarterly, or in 10 or 12 monthly payments. What are the times for school? School begins at 7:50 A.M. and ends at 2:15 P.M. Dropoff begins for students at 7:30 A.M. All students must be picked up by 2:25 P.M. or they will wait for parents in EDC. Do you have extended care? Yes, we have early morning care from 7:00 A.M. to 7:30 A.M. for a small daily fee. Extended Day Care is available for a fee from 2:15 P.M. until 6:00 P.M. at the latest. Parents arriving after 6:00 P.M. will be charged an extended fee. Do you require uniforms? Yes, all students, Preschool through Eighth Grades wear uniforms. Click here for the Uniform Policy. What are gym days? Gym classes are Tuesdays and Thursdays and gym uniforms are required for grades Kindergarten through Eighth. Preschoolers go to gym but are not required to have gym uniforms. Is there bus service? Yes! If your student is in grades K-8, and if you live within the Public School District 21 boundaries, your child will receive free bus service to and from school.